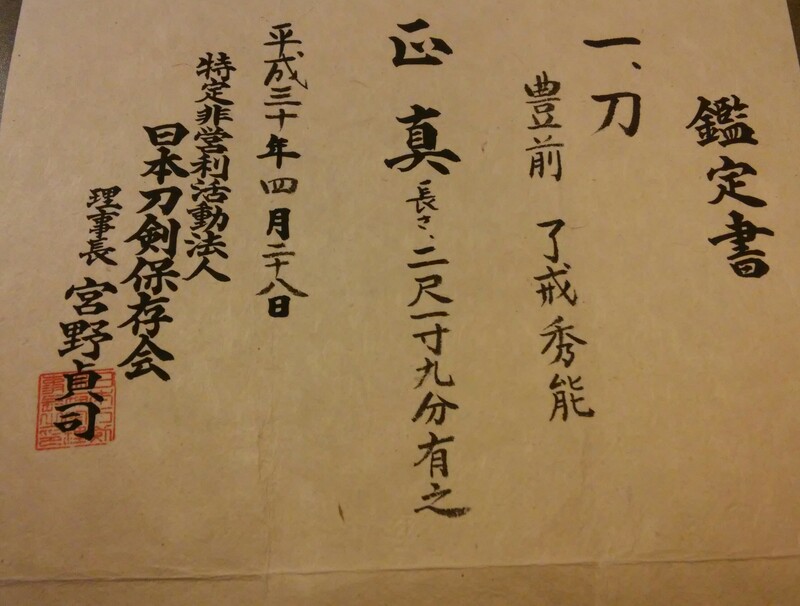 Any help on translation would be greatly appreciated. #1Submitted by saipan59 on Wed, 2018-09-19 23:44. I see that you got your origami. 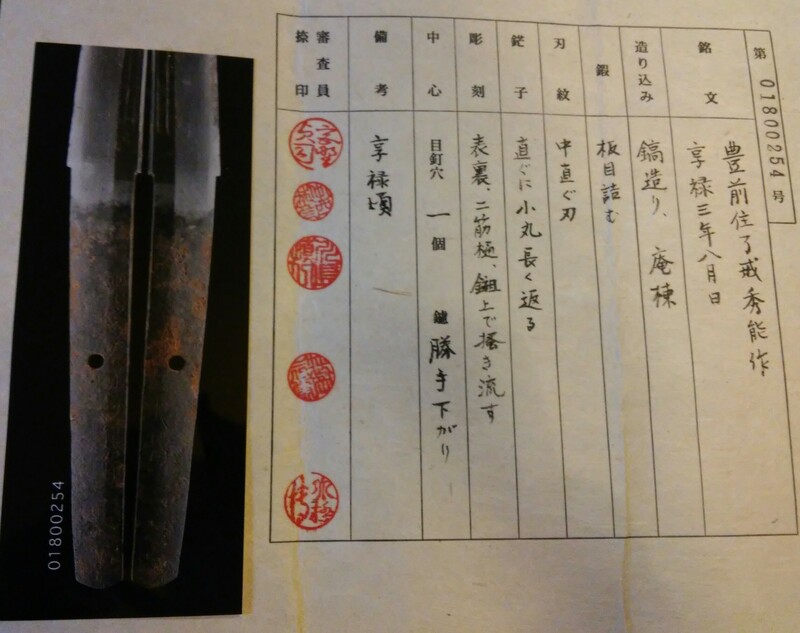 The signature is as we discussed a few months ago (Buzen ju Ryokai Hideyoshi saku). The date era is Kyoroku 3rd year, which would be 1530. The hamon is "chu-suguha" (straight, medium width). The boshi is "sugu ni ko-maru nagaku ?-ru" (straight, with a small turn, long something). The 'something' might refer to the length of the 'tail' after it makes the turn back along the top edge. Length is 2.19 shaku (26.1 inches). The paper from NTHK is dated 2018, April 28th. I don't think these NTHK papers give a "ranking" as such - it just says that it is SHOSHIN (authentic).